In general, except for smartwatches and fitness trackers, most healthcare and wearable technology devices for the elderly are healthcare related or are multifunction devices incorporating some healthcare-related functions. 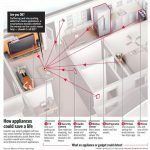 While this article is mostly about devices, there is some mention of apps. 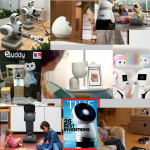 This article introduces, and showcases, a small sample of existing products in three main areas: multifunction devices, devices addressing the top chronic conditions of adults 65 and over, and devices addressing other conditions, diseases and impairments impacting many seniors. Each of the device categories will be explored in depth with many more products, over time and in a priority determined by TechForAging members. When considering most health-related offerings, you should consult with your healthcare provider. NOTE: Links for devices below could result in an affiliate commission to TechForAging, and do not imply endorsement nor recommendation. Use of these links when making your purchases helps to keep the great content of this website free. As noted above medical alert companies, which require a monitoring service for a, usually, monthly amount, are beginning to offer multifunction wearable devices integrated with their monitoring services. A major new initiative was announced early this year by several important medical alert companies, incorporating medical alert functionality along with that of a smartwatch. Pictured is the MobileHelp Smart which is currently shipping. Two others are not yet available (as of publication of this article). Smartwatches are becoming the dominant wearable technology due to the increased utility over other categories. 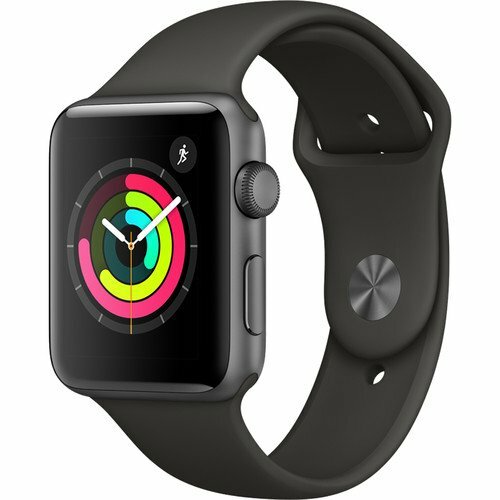 The Apple Watch 3, pictured, introduced a version with cellular capability, meaning it can be used without the presence of an iPhone (although one is required) for making and receiving calls (the main reason). It can also receive messages, use the Maps app, play Apple Music, and more. If you (sometimes) go out without a phone, this could be a lifesaver. However, there is extra monthly cost, beyond the iPhone service, making a comparison to similar Medical Alert Service offerings worthwhile. Functions not requiring cellular include heart rate data with alerts (multiple reports of this saving lives too), fitness tracking features (a strength), Siri conversational assistant, water resistance. Apps are what makes smartphones so valuable, and the same is true for smartwatches. For the elderly there are, or coming soon, apps that can be used in emergencies, fall detection, and detection of potential medical problems. Apple introduced the Series 4 in late September 2018 including fall detection and”by the end of the year” significant additions of ECG/EKG and atrial fibrillation. 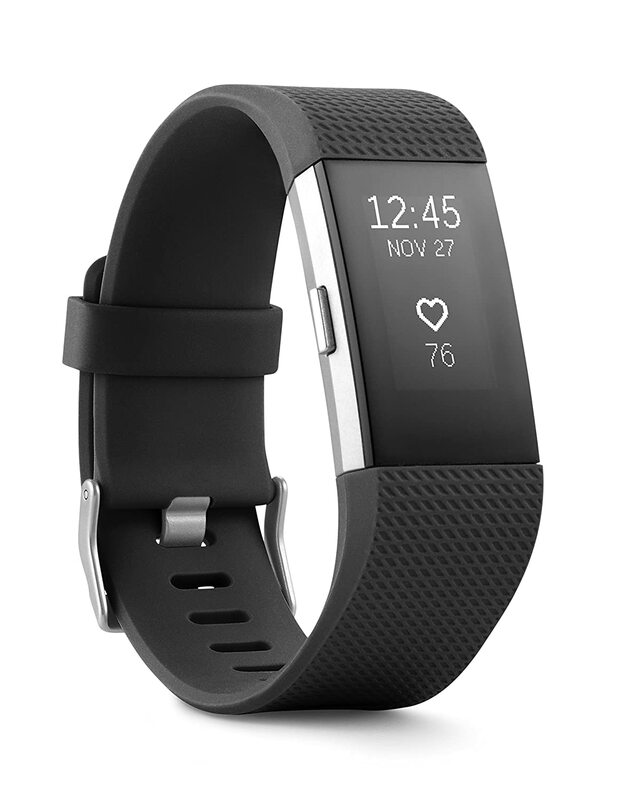 Pictured is a Fitbit Charge 2, one of a growing line of fitness trackers, and now watches, from the brand synonymous with this product category. However, it is being challenged by competitors, particularly from China, with low prices and rich features. Fitness trackers are less costly, include a number of the same features, and are smaller and lighter on the wrist than smartwatches, but lack apps. 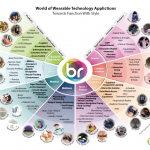 So, in addition to the considerations noted above, if you are interested in a multifunction device and don’t care about the ability to add apps, you may find a fitness tracker with all the functions you desire for considerably less money than a smartwatch. 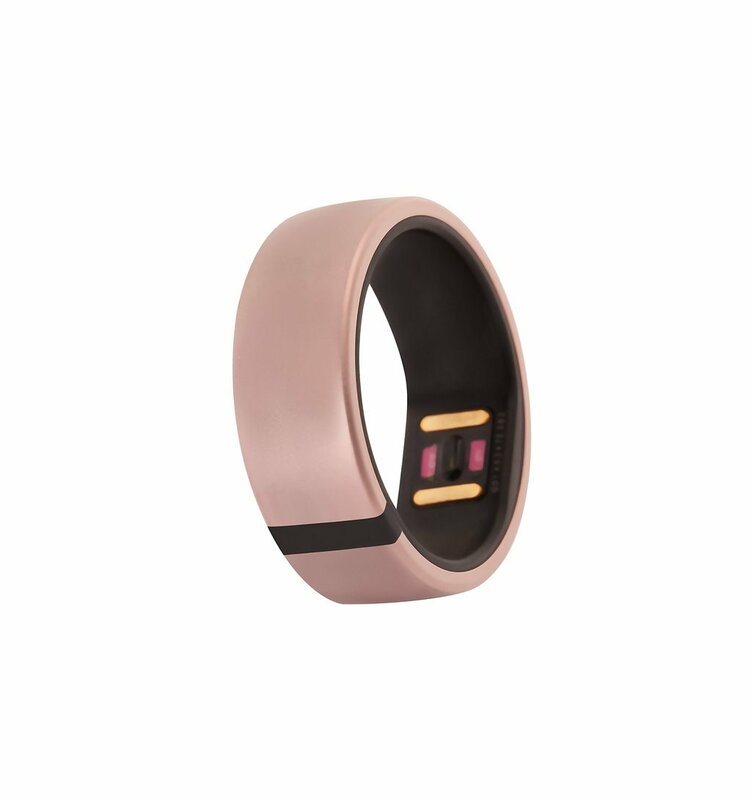 The Motiv Ring Activity Tracker is an example of how products with similar functionality can be available for different body locations. This one, claiming to be one of the smallest fitness trackers available, includes tracking activity, sleep, and heart rate while being comfortable and stylish. It measures the following: active minutes, resting heart rate, activity type, calories expended, the intensity of activity, number of steps, sleep duration, distance. Medical device technology can collect biometric data such as heart rate (ECG and HRV), brainwave (EEG), and muscle bio-signals (EMG) from the human body to provide valuable information to address chronic, and other health-related conditions. Information from the National Council on Aging (NCoA) on the top chronic conditions differs somewhat from the Centers for Disease Control and Prevention (CDC), but NCoA provides the nice graphic below. The graphic above indicates four of the top ten conditions are heart-related, and the CDC states that heart disease is the number one cause of death in the U.S., with high blood pressure and cholesterol being two of the top risk factors. The two top wearable technologies today, smartwatches and fitness trackers, increasingly include heart monitoring. There are a number of ECG/EKG wearable devices for people with heart rhythm abnormalities. 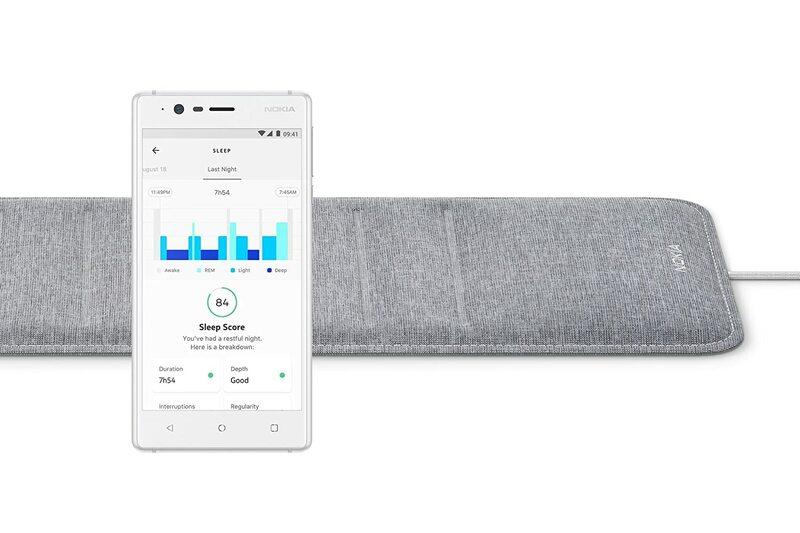 KardiaBand, from AliveCor, is described as “Suited for people with increased health risk caused by family predisposition, history of heart attacks or strokes, high blood pressure, high cholesterol, diabetes and excess weight.” It is FDA cleared and currently available. It requires a companion app costing $9.99/month or $99/year. 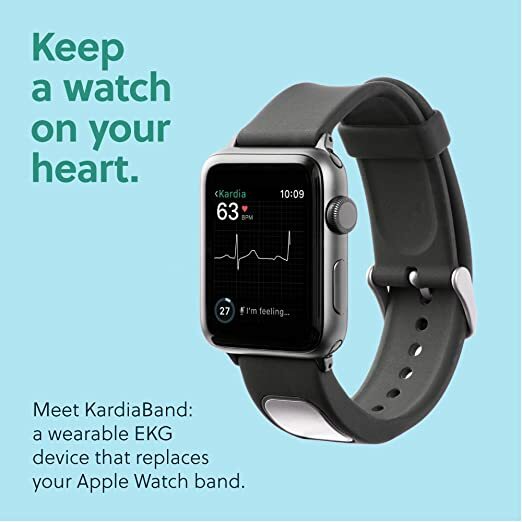 It monitors heart rate and activity and can issue notifications to take an EKG (by pressing a button on the band for 30 seconds) if it detects a potential abnormality. But be aware, it is strongly rumored that the next Apple Watch, expected for fall 2018 introduction, will include EKG functionality. Omron, as noted below, under Arthritis, is a major vendor of healthcare technology products. Its Generation Zero “Mission” – Zero Heart Attacks, Zero Strokes – is focused on blood pressure, wanting people to change from checking it to monitoring it. 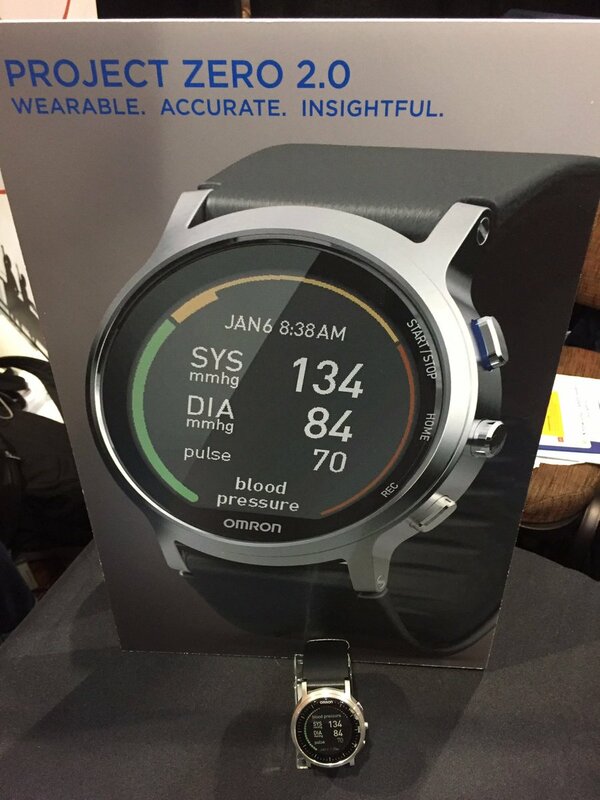 Not yet available, but described on the Generation Zero webpage, the pictured Project Zero 2.0 Wrist Blood Pressure Monitor (aka HeartGuide) is also a bit of a multifunction device, additionally measuring physical activity and sleep. These two technology and product leaders, AliveCor for EKG, and Omron for blood pressure have partnered, with Omron making a significant financial contribution to AliveCor, in furtherance of Omron’s Generation Zero Mission. The collaboration currently does not include wearable technology. Asus, a significant Taiwanese technology company, has recently announced such a product. 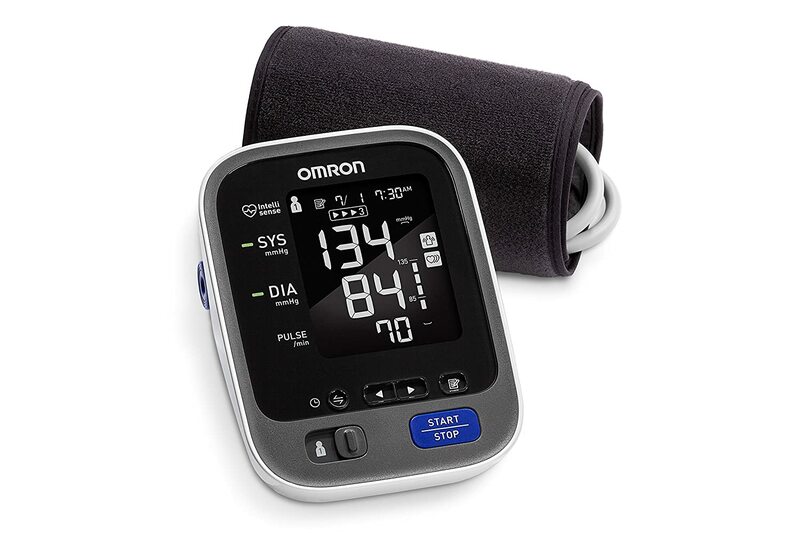 It, like the Omron HeartGuide, need FDA approval, possibly in late 2018, before any possible sales in the U.S., but it claims more functionality, lower price, and longer battery life. The technical term for a device measuring blood pressure is Sphygmomanometer. I find it interesting that manual hand pumped ones with mercury are considered the “gold standard” and are typically used along with a stethoscope, although the greatest accuracy is probably not the most important thing in most use cases. A few years back my doctor suggested I test my blood pressure, so I got an upper arm electric unit, used it for a while and haven’t again for quite some time. I now only have it measured when I see a doctor, and that is also via an electric upper arm machine. I believe that wearable blood pressure monitors will become very popular as there is considerable value to continuous monitoring. Other body locations than the wrist are being researched for wearable blood pressure monitors. There are no devices specifically for people with high cholesterol, and maybe there never will be. I have slightly high cholesterol and family history with heart issues. As high cholesterol is one of the top risk factors for heart-related conditions (cardiovascular disease (CVD)), wearable technology to monitor the heart (see above) is what I intend to get someday soon. 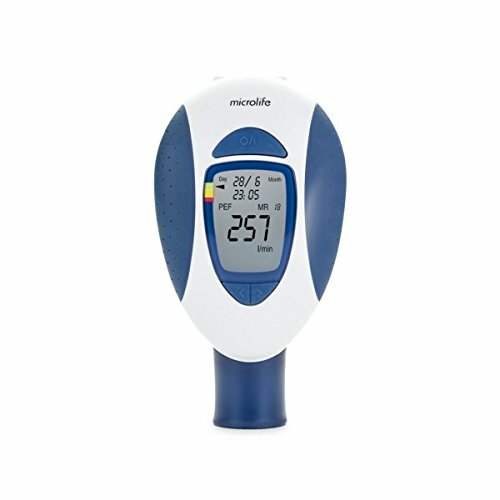 One that also monitors blood pressure would be desirable. Determining cholesterol levels requires blood tests. However, unlike with diabetes, there is no compelling reason for continuous monitoring. The frequency of these blood tests may be determined by the severity of one’s levels, and for me, it is once per year with my annual physical. I can envision a (distant) future with “things” in our bloodstream constantly monitoring for everything that could impact our health. As with many other health issues, diet and exercise are recommended to deal with cholesterol. So, fitness tracking is another wearable technology function applicable to those with high cholesterol. There are also apps which help with fitness and diet. There are over 100 types of arthritis! Osteoarthritis (joints) is most common and typically age-related. There are a number of technology products that are designed to provide pain relief from a variety of sources, arthritis included. Below are two notable wearable devices using TENS, which stands for Transcutaneous Electrical Nerve Stimulation, for people wishing to avoid drugs. There are many other TENS devices available, but most require pads with wires. 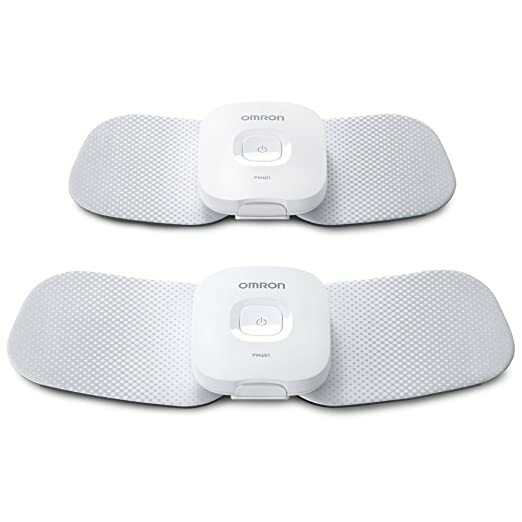 The Omron Healthcare Avail TENS Unit can be placed on various body locations where some pain is experienced. In addition to being well reviewed, this product is from a very large, international, Japanese company, with a significant U.S. presence. 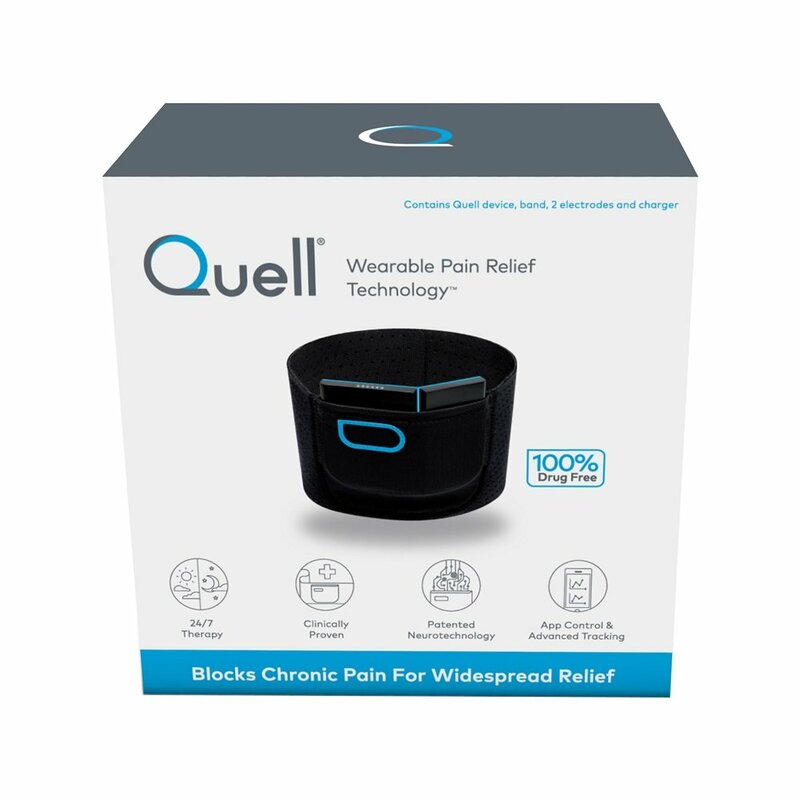 The Qwell Wearable Pain Relief Technology Kit has received some very positive reviews and 80 percent of subjects in a study reported improvement of their chronic pain. There is a 60-day money-back guarantee for the other 20%. This device can be worn day and night. It provides “wearable intensive nerve stimulation” (WINS), said to be a form of TENS, differing as it is worn on the calf rather than over the area of pain. This technology results in the body’s production of its natural pain control system. 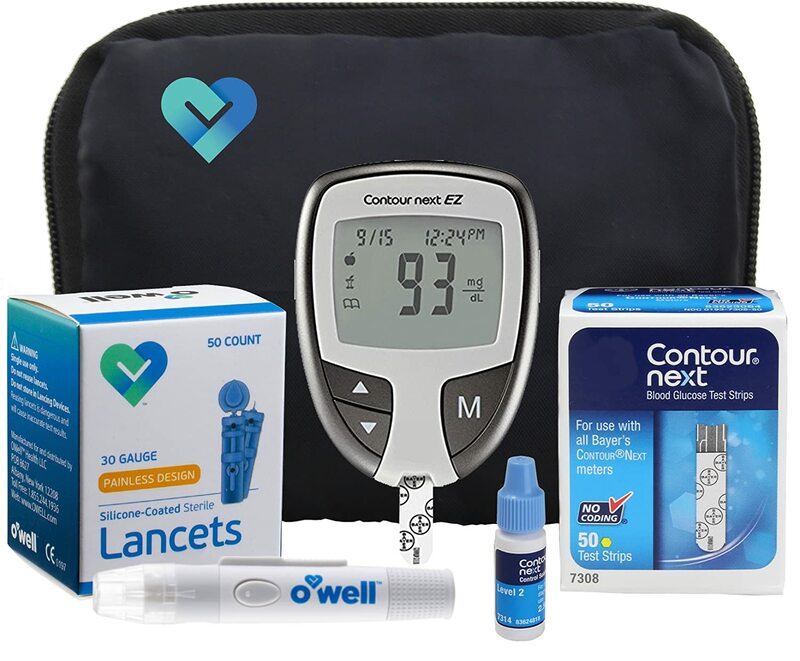 This traditional home blood sugar testing kit and seems to be considered among the best, considering both price and accuracy. 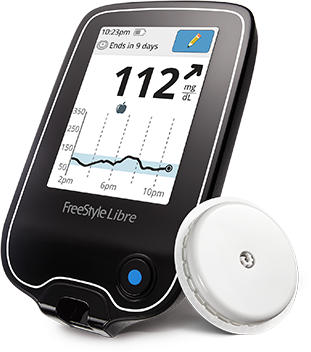 However, another class of device, continuous glucose monitoring (CGM) systems are becoming the preferred solution and beginning to integrate with smartphone apps instead of special purpose devices to capture, store and communicate the continuous readings. Medicare coverage of smartphone-connected CGM devices was announced June 13, 2018, and should increase the adoption of this class of device. CGM systems and other approaches aim to reduce or eliminate, the main negative aspects of older technology. These include blood sampling (finger pricks), real-time data and trends with alarms, and the ability to immediately determine the impact of foods on your blood sugar. There is also the option of being able to remotely monitor the user’s data. And some integrate with insulin pumps. The pictured system does not (yet?) integrate with smartphone apps, but another leading competitor’s system does. Both require a prescription. 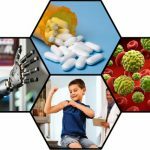 There are a number of innovative technologies under development, including a partnership between a leading CGM manufacturer and the Alphabet (aka Google) medical technology operation, promising significant improvements. Work on three fronts has been underway for quite a while with the usual speculation of possible availability within the next few years. The large majority of patients must visit dialysis centers. While home dialysis equipment exists, it accounts for a small percentage of the market, but some major companies are reported to have projects to address the obstacles. A second area is an ongoing research into a wearable artificial kidney (“WAK”). And a third area is a project to create a surgically implanted bioartificial kidney. There are a variety of different types of depression, with different causes, and with varying degrees of severity. The most common forms of treatments are medications and psychotherapy. For a number of patients, the treatments are not satisfactory. A number of brain stimulation technologies have been developed to treat depression and other brain-related conditions. An introduction to them can be found on this page from Johns Hopkins. Most of them can only be used under medical direction. 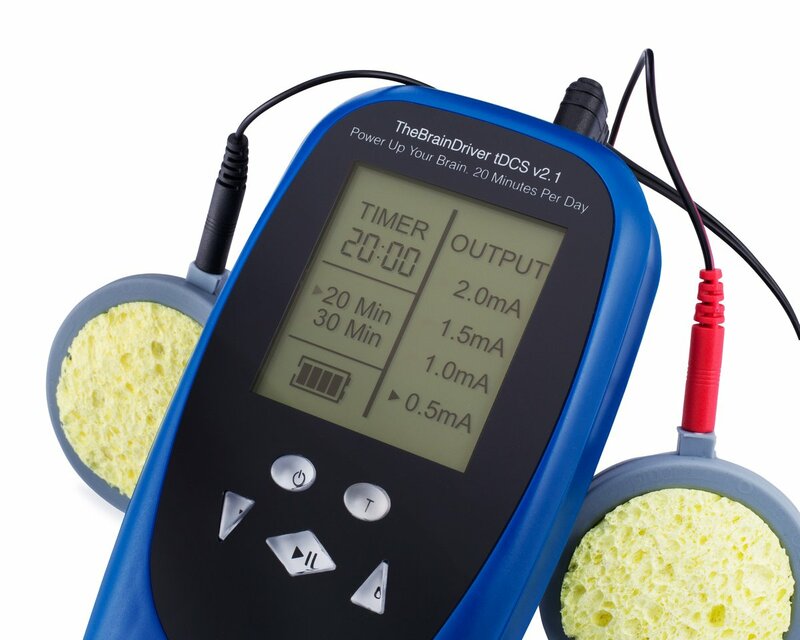 However one type, Transcranial direct current stimulation (tDCS), is available in products for home use, some without a prescription, such as the one pictured. 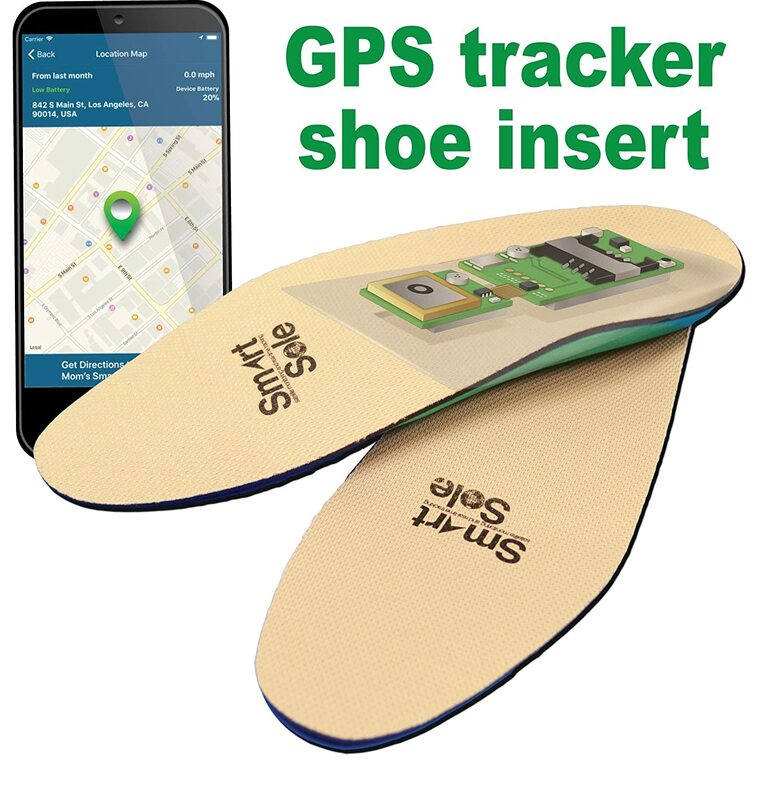 There are a growing number of these devices and they are also marketed for other purposes such as mood improvement, athletic performance, pain reduction, and sleep improvement. There is a broad spectrum of memory-related conditions. Some of the devices referred to above regarding depression are touted as helping memory (and other brain-related conditions). 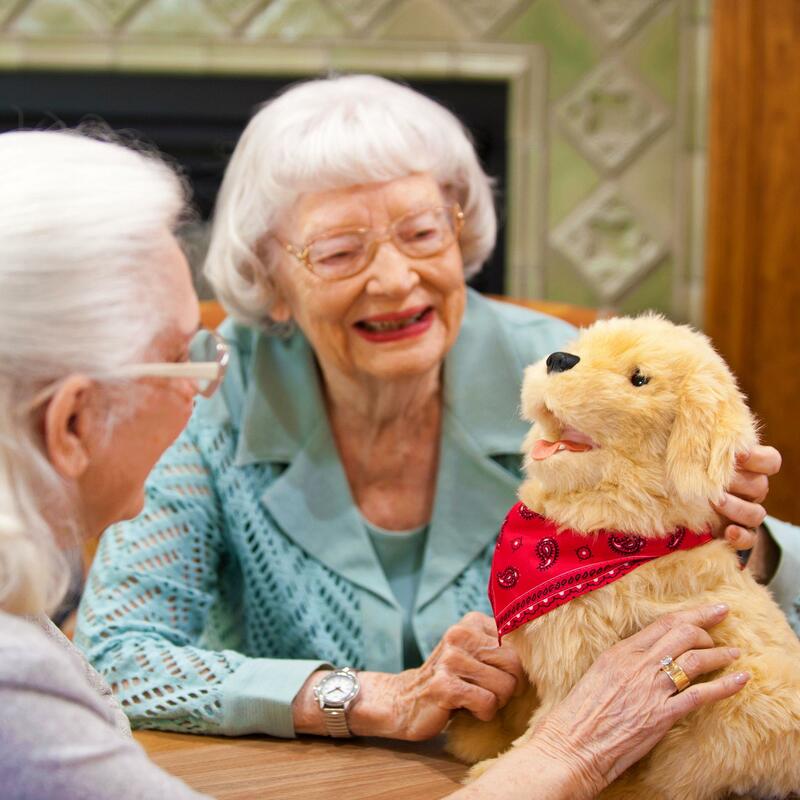 The product shown is helpful for seniors that have a tendency to wander off. 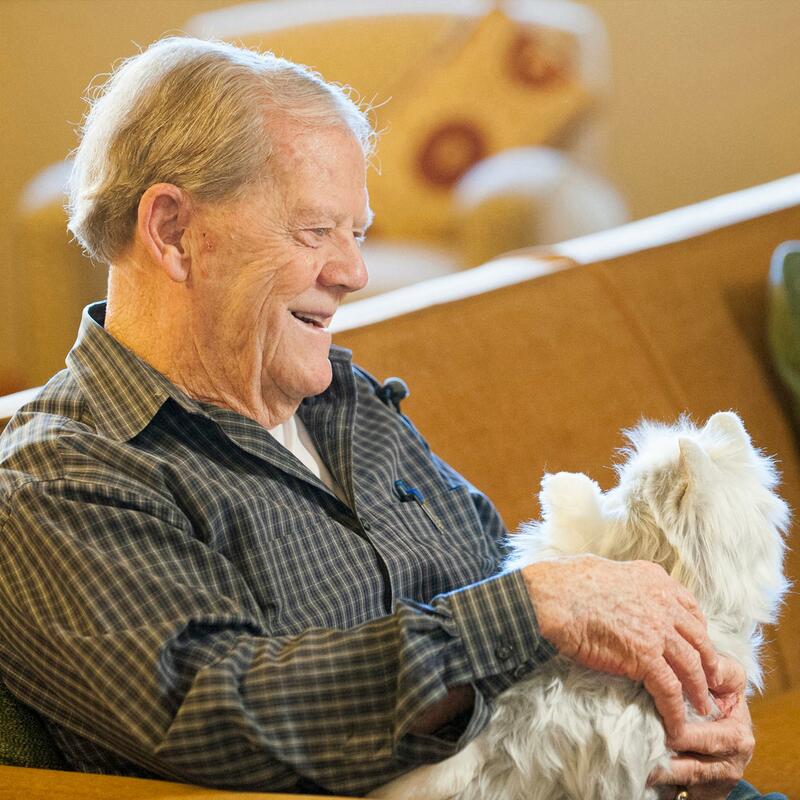 Conversational assistants, such as Alexa and Google Home, are being reported as helpful for milder situations, such as this report by an early onset Alzheimer’s sufferer. In more severe cases, like many other conditions, medications are frequently the treatment. But new technology developments are showing promise of drugless treatment. This example is of a collaboration between a startup, SimpleC, and IBM, providing technology solutions to patients, their families, and clinicians. Another technology showing promise is Virtual Reality. Chronic bronchitis and emphysema are older terms for some types of COPD. Asthma has similar symptoms but is a different condition with, in general, different treatments. COPD is more (old) age-related. The device pictured measures Peak Expiratory Flow (PEF) and Forced Expiratory Volume in 1-second (FEV1). PEF is the fastest speed air can be blown out of the lungs after inhalation. FEV1 measures the volume after exhaling in 1-second. Peak Flow (PEF) and Forced Expiratory Volume in 1-second (FEV1) measurements can tell how well lungs are breathing by monitoring airflow. The device keeps a record of the measurements which are reported to the patient’s doctor. In Europe, similar devices use a smartphone app for the recording function. Another device, also used for COPD monitoring under physician oversight, is a pulse oximeter, which usually attaches to a fingertip to measure the amount of oxygen carried in the blood. An oxygen level if 95% or above is good and 92% or below is a concern. Pulse is also measured. Many conditions, including those above, and impairments impacting the elderly also affect the younger population in large numbers. Some of these, such as vision and hearing, are general population issues, while others, such as balance and osteoporosis (both will be added later), are primarily found in the older population. Vision impairment spans just needing reading glasses all the way to complete blindness. There are many types of solutions for the variety of different types of vision impairment. 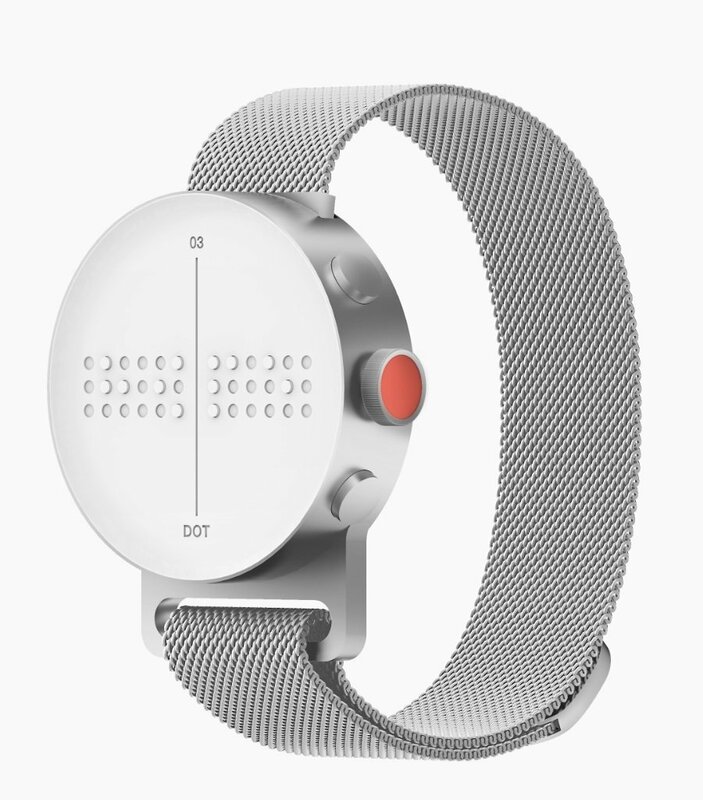 Braille was, and remains, very important, and is now implemented in various devices, including the pictured smartwatch. A standards group that includes Apple, Microsoft, and Google, recently announced a new standard for braille displays to allow them to be used, in a similar fashion to a mouse or keyboard, across different operating systems and devices. Legal and competitive market requirements have spurred accessibility features to be included in computer, smartphone, and tablet operating software. as well as some websites. There are also quite a few apps that are designed with the vision impaired in mind. Hearing aids, the most important hearing-related technology, have come a long way. I hadn’t heard the term “Hearables” before. Initially, it was derived from wearables and headphones. It now refers to multipurpose, technically advanced, electronic-in-ear-devices, including advanced hearing aids. The Opticon Opn pictured is an example of one from a leading hearing aid manufacturer and was the first internet-connected hearing aid. 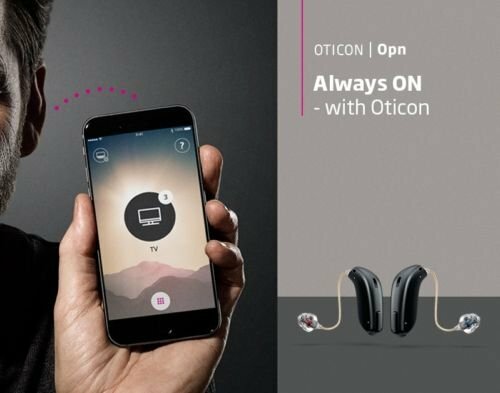 Some hearables include biometrics and connectivity with smartphone apps. Per the National Institutes of Health (NIH), “Sleep plays an important role in your physical health. For example, sleep is involved in the healing and repair of your heart and blood vessels. Ongoing sleep deficiency is linked to an increased risk of heart disease, kidney disease, high blood pressure, diabetes, and stroke.”. Sleep tracking is becoming a very prevalent feature of many devices such as smartwatches and fitness trackers. For those not keen on wearing them at night (or needing to charge! 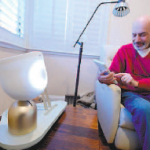 ), there are a number of devices like the one pictured, and even beds with built-in technology. Over time additional conditions, impairments, diseases, etc., will be added in updates to this article.